It seems the issues with Samsung’s Galaxy S10 are just not ending. We have already reported quite a few problems with Samsung’s latest flagship, such as not being able to look at the screen through polarized sunglasses, the screen turning on randomly, issues with the proximity sensor and more. Now users are reporting that their Galaxy S10 restarts randomly at night. As usual, affected users have taken to Samsung’s product forums and social media platforms to complain about the issue, which was first highlighted by PiunikaWeb. Users say their device is randomly restarting or crashing. Interestingly, many users say their Galaxy S10 restarts at night. “From the first day, my S10+ restarts itself sometime during the night. Since the phone doesn’t ‘start up’ until a PIN is entered, it’s pretty much the same as the phone being off,” one user said on Samsung’s U.S. community forum. Many users also claim their Galaxy S10 restarts when it is removed from the wireless charger. The issue affects both the Galaxy S10 and S10 Plus. There are no such complaints from Galaxy S10e users for now. Moreover, the issue is not specific to any region or to Snapdragon or Exynos models. Users on European forums have raised the same issue. One user was even able to capture the restart in a screenshot. A U.S. user was able to get their Galaxy S10 replaced three times due to the restarting issue, but the problem remains. “Verizon sent me THREE different S10’s, all with the same issue… Sending them all back and waiting for an update from Samsung or for the Note 10,” the person said. Users have suggested several workarounds, such as enabling safe mode or wiping the cache partition. These tricks have not worked for everyone. “I’ve tried leaving the phone in Safe Mode overnight to no avail,” one affected user said. One Samsung Care Ambassador suggested checking if the Auto Restart setting is off on their device. Auto Restart reboots the device after a set interval. To check this option, go to Settings > General Management > Reset > Auto Restart. However, users confirmed that their Galaxy S10 is restarting even when they have turned off Auto Restart in the settings. “Seems to happen in the middle of the night. Auto restart isn’t on. The phone is off waiting for me to put in my password showing the android P logo. It says phone rebooted, please enter password,” a user said. As of now, there is no information or comment from Samsung. It is not exactly clear what is causing the issue. It appears to be widespread because many users around the globe are reporting the same thing. Hopefully Samsung will release a fix soon. If you are experiencing the same problem even after trying the workarounds described above, then you should contact Samsung. This will help the Korean firm know the extent of the problem. Instead of rebooting or crashing, some users report getting this error: “Modem Crash Dump. Don’t touch anything for 10 minutes.” It isn’t clear that the restarting/crashing and Modem Crash Dump error are related, but both problems are frustrating users. We should point out that random restarting is not a new issue; Galaxy S9 users dealt with it as well. “Bought my S9 in November, the battery has never been very good at keeping charge. Now it has started to close down and go to the restart screen every morning. 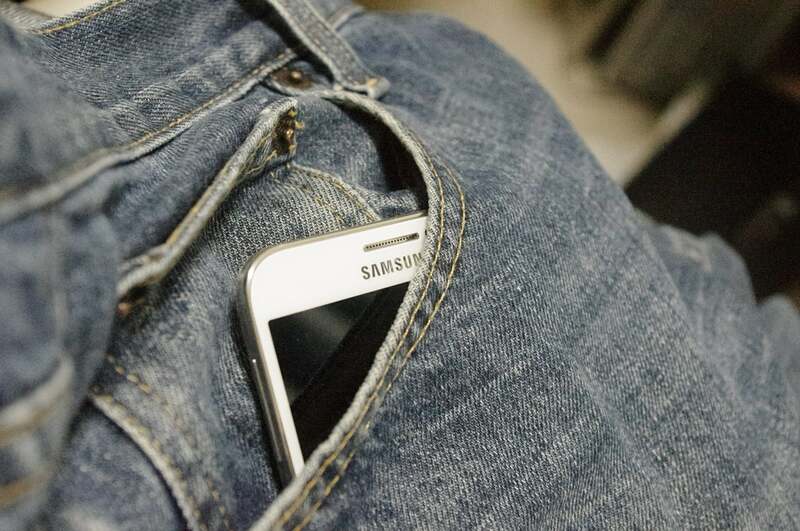 This happens whether it is being charged or not,” one user said on Samsung’s U.S. Community forum. Most of the complaints on this forum are just two to three weeks old, suggesting a possible connection to the S10 issue. The problem might be due to a recent software update that is affecting both models. However, complaints about it were posted on other forums last year as well. One suggested fix that worked for at least one Galaxy S9 user was to turn off Auto Optimization, so affected Galaxy S10 users can also try it. To turn off Auto Optimization, go to Settings > Devices > Optimize and then tap the three dots in the top-right corner.